$25 late fee per person if registered May 16, 2016 or later. Please contact us with any questions or comments you may have related to this information. We look forward to receiving your group’s registration for 2016 Young People in Mission and hope you will encourage others to attend! To make a reservation, a $50 per person deposit is required. Remaining balance is due 30 days prior to arrival. Reservations made less than 30 days require full payment at the time of reservations. Groups are required to give credit card information upon arrival to cover a damage deposit of $200. Your credit card will only be charged if damage is discovered or excessive cleaning is required after departure of group. Cancellations made 15 days or more from the first night's lodging receive a full refund minus the $30/person processing fee. Cancellations 2 to 14 days prior to the first night's lodging will receive a 50% refund. No refunds for cancellations one day before first night's lodging. To register your Church or Group, follow the instructions for each form and have all paperwork turned in by May 15, 2016. The downloadable forms are at the bottom of this page. Church or Group Registration Form – to be completed by church or group leader by the dates above for registration costs. Please download it below and fax it to (205) 453-9481 or email to paulette_west@umvim.org. A $50 deposit per person is due upon registration! Participant Spreadsheet – to be downloaded below and completed electronically by church or group leader. Please type in information and email it to paulette_west@umvim.org. Please be sure to indicate the last grade completed for middle/high school participants, or note "college" or "adult" for others. 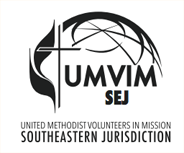 Mission Service Request Form – to be downloaded, printed or filled out electronically, and either faxed to our office at (205) 453-9481 or emailed to paulette_west@umvim.org. Lake Junaluska Code of Conduct – to be downloaded, printed, signed and either faxed to our office at (205) 453-9481 or emailed to paulette_west@umvim.org. Group Rooming List – to be downloaded, printed or filled out electronically, and either faxed to our office at (205) 453-9481 or emailed to paulette_west@umvim.org. Photo/Video Release – please have the parent/guardian of each participant sign this release to allow us to use any photos or videos from the week on our website, social network sites and/or in print. You do not have to send it in ahead of time; please turn in the signed copies when you arrive and register on-site. ALL participants must complete this release and turn it in. If you have a student who cannot be photographed, please let us know upon check-in. If you have any questions, please call our office at (205) 453-9480. FAMILY GROUPS – Participants will be assigned to a Family Groups based on the last grade they completed. College students will be in a Family Group together. Adults who are willing to serve as a Family Group Leader should indicate that on the Participant Information Sheet. MISSION SERVICE PROJECT – All groups are encouraged to participate on Monday. Monday lunch will be a sack lunch prepared by Lake Junaluska. Groups will need to bring a cooler(s) for sack lunches. Wednesday afternoon project is optional.